This article examines contrasting representations of the River Tay in works by three contemporary Scottish poets, Douglas Dunn, Robert Crawford and Kathleen Jamie. 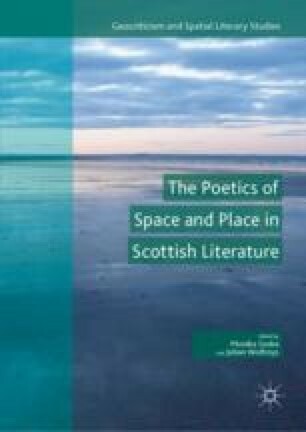 Drawing on geocritical approaches developed by French theorist Bertrand Westphal, I focus primarily on the intertextual dimension of the poems, and especially the cultural, historical and mythological allusions in the poets’ evocation of the Tay. For Dunn, the river and its environs call forth numerous elements of local history and legend connecting this apparently remote and peripheral region with the cultural monuments and historical centres of Europe and the wider world. This serves both a personal and a political purpose: a renewal of the poet’s creative self and a dismantling of complacent metropolitan cultural assumptions. Crawford likewise positions his Tayside evocation of Mary Shelley within a broader cultural context, indicating the significance of the episode for English literary history while also conveying a vivid sense of place at a specific historical moment. Jamie’s river provides the setting for more archaic and mythical scenes, though once again set against a backdrop of precise local detail; her poems are shot through with archetypal motifs that lend an aura of universality to the poet’s emotional predicament. ———. ‘“The Tay Moses”: Poem Introduction’. http://www.poetryarchive.org/poem/tay-moses. Web. 29 June 2016. ———. ‘Glamourie’. http://www.scottishpoetrylibrary.org.uk/poetry/poems/glamourie. Web. 8 February 2018.